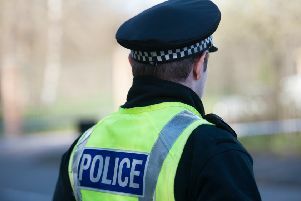 Three men dressed in black broke into the home in Slamannan Road, Falkirk at about 4am this morning before making off with a watch, which is worth a four-figure sum, after noticing the woman, who had been hiding during the break-in. The men are described as white, of slim build and ranging from 5ft 8ins to 6ft. They were wearing lightweight Puffa jackets, light-coloured tracksuit bottoms, trainers and gloves. Their faces were obscured during the raid. Two of the men were also wearing baseball caps. 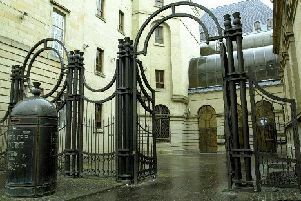 Detective Constable Fraser Gordon, of the Forth Valley’s Priority Crime Team, said: “This was an extremely terrifying incident for the woman, who was within the property at the time. “I want to reassure the local community that a robust investigation is currently under way. A police dog handler searched the area but the men remain untraced. Anyone calling Police Scotland on 101 in relation to this incident should quote incident number 0335 of April 16, 2019 or report details anonymously to Crimestoppers on 0800 555 111.